Stealing money — from anyone. Which I think is the main takeaway here, at least for me. If you can figure out how your money *affects* you, you can better adjust it towards reaching those goals and lifestyle more. It’s not about having “the feels” and then letting them be, it’s DOING SOMETHING with them so you can achieve even more happiness down the line! Or at least suppressing the more negative ones as much as you can. But look how rosey this sounds? Anyways, I’ll have to see if I can get my hands on a couple of copies to give away if you like this stuff, but in the meantime wanted to pass it along in case it brightens your day too. You can check out Ken’s website or the book’s Amazon page for more info. My husband treats every bill that came through the letter box as a personal assault. Taxes, water, electricity… You name it. I see how much he gets worked up and how paying these bills causes such angst I try to do the opposite. How privileged we that we have clean running, HOT water in our home. And how lucky we are that we can afford to pay for that privilege. “A personal assault” Hahahaa…that’s awesome! I’m going to use that if I may. I don’t get upset at bills – I figure if I used the service, I should pay for it. EXCEPT for medical bills! They PISS ME OFF every single time. I’m Canadian and moved to the US 19 years ago – and I’m STILL deeply offended every time I receive a bill for a doctor visit or procedure. Never going to get used to that! I can relate to this. Had 2 unhappy $$ situations lately. $8500 out of pocket for hubby’s recent double knee replacement. After 4 weeks he took his first car ride alone. Dropped his phone in a parking lot. Immediately went back & someone ran it over. It was only 6 months old. So an unexpected expense buying a new one. BUT happy $$ today. I cashed in credit card points. Got a $50 gift card for $40 for my best friend’s favorite restaurant. I can’t wait to surprise her! I also bought a wonderful Mother’s Day gift this week that I know my mother will love. This article is spot on: we need to appreciate all that we have & not dwell on what we don’t have. Thanx for another inspiring article. You had me at Marie Kondoing for the wallet! You can’t go wrong with gratitude. I highly recommend starting a gratitude journal. I use a gratitude phone app that allows me to conveniently add what I’m grateful for each day. The app also includes a very motivating/inspirational quote every day. If I need to be reminded what I’ve been grateful for in the past, it is at my fingertips. Gratitude helped me see all I had, at a time in my life that I could only see what I didn’t have. Changing my mindset, changed my life for the better. That sounds like a great app! What’s it called? Love that last line up there! It’s called Gratitude – Happiness Journal. The logo is a flower with a heart. My focus this year has been to really pay attention to the value my spending brings. I’ve actually added a tab to my spreadsheet (yes, I still use spreadsheets and I love them) where I note everything I buy outside of what I consider living essentials. I have created a point system that ranges from 1 (shouldn’t have) to 10 (making my dreams come true) and a then a couple middle items for an items I want/need and has been on my list for awhile and I found a good deal on it (replacing 15 year old pans) and items that maybe I wouldn’t normally have done but it was worth it for relationships (happy hour with business partners). I never really thought of it as happy or unhappy money, but I would say those items that I mark as “shouldn’t have” would be unhappy money or buyers-remorse and putting extra attention to it and knowing I’ll have to identify it has really helped me avoid some impulse purchases. When it comes to the FIRE community, aside from how supportive everyone is, I particularly enjoy all the myriad methods folks use to track and incentivize and expose financial behaviors. I never would have thought of this, and it may or may not be a worthwhile addition to someone’s planning, but it works for you and it may work for loads of others — and we might not have heard about it but for your choice to share it in this comment and J$’s blog post and us being here reading both. Serendipity! In fact, I’m working up a roundup of ideas like this for tomorrow’s post, so now I gotta make sure I include this in there too as I agree – who knows how many others it could help?! Thanks for taking the time FF Mom! I pay off my credit cards every month, but I definitely still treat it like unhappy money! I hate waving farewell to my money for any reason. Even a good one. So pretty much any bill (except my mortgage) = unhappy money. 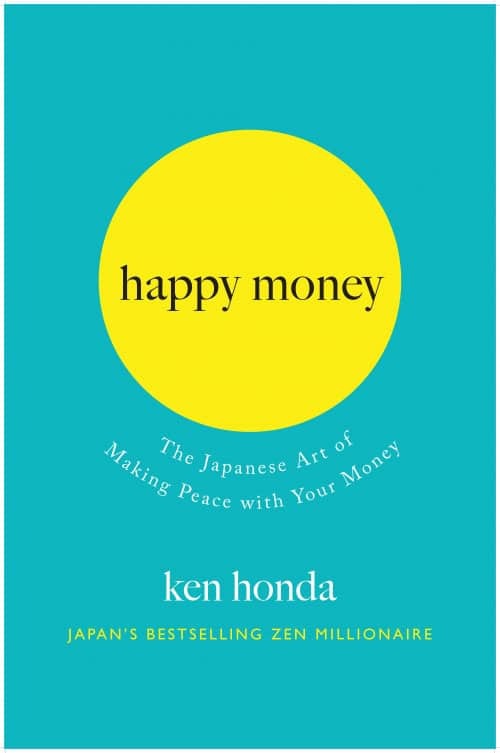 Then again, happy money is the stuff I bank or that goes toward paying off my mortgage early. That stuff makes me INCREDIBLY happy. Which just about balances out the negativity. And sometimes that’s about all you can ask for. Interesting that you love your mortgage payments vs your credit card ones! More fun gaining equity vs more “stuff” I’m supposing? I’ve got a Note on my phone I started last year titled “$$ I didn’t enjoy spending” where I record bad purchases. I noticed I kept on buying bad stuff on repeat because I couldn’t remember I didn’t like it (yep, major space cadet!!!) so I had to write things down. Interestingly, most of the items I’ve recorded were disappointing food. Interesting… I have a very short memory so it doesn’t really matter where the money comes from. They all go into the bank. I have some unhappy money coming my way soon, though. A bike crashed into the back of my car. He’s not hurt, but the repair bill will be around $4,500. I really hope the insurance steps up and send me some unhappy money. Are we talking about a bike-bike or a motorcycle?! Sounds like he was smart and wore a helmet! 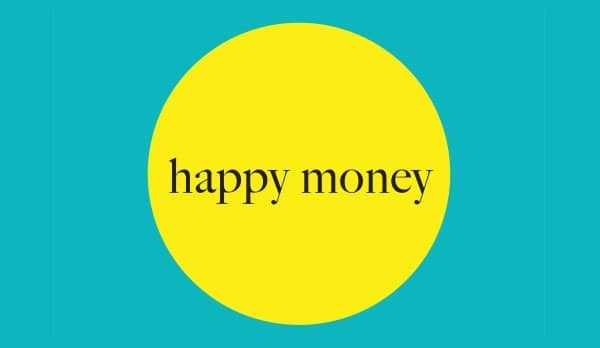 I can relate to the unhappy vs happy money. However that last payment to that credit card is magically turned into happy money when its a card you’ve been battling for awhile. Seems to feel completely uhappy if it’s just a repeat of the balance going to $0 because you’re trying to travel hack. Um, 100% yes! It’s so makes a difference on how you’ve received your $ and what you are doing with it. The biggest takeaway (which you hit on) is if your are in an unhappy place with your $, keep taking necessary steps to transition to a more happier place with your $.